It’s easy to forget about having the gutters cleaned on your home, but it’s really important to have this done to protect the structure of your home. While a rain gutters are useful in directing water away from the house, they can accumulate leaves, pine needles and other falling debris from the trees causing it to clog. The build up of debris can trap rain water which will eventually overflow the sides and get behind the siding & trim boards causing water damage. In the winter time, rain water can freeze in the gutters forming ice dams that weigh down the gutters and could break it loose from the house. 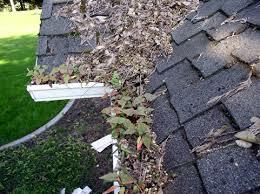 These issues can be avoided by cleaning out your gutters on a regular basis. Prices for gutter cleaning can vary depending on weather you have a 1 or 2 story home, how much and the total length of the guttering that needs to be cleaned. Homes that are located in or near a wooded area, may need to have gutter cleaning done twice a year to prevent too much debris from building up. 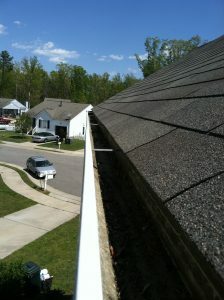 Contact us today and we’ll set a time to come by and give you a free estimate for gutter cleaning.